Yo wizzys! 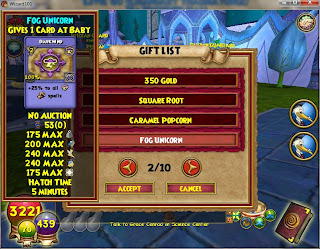 Blaze here and if you haven't noticed yet... the Test Realm is back online! 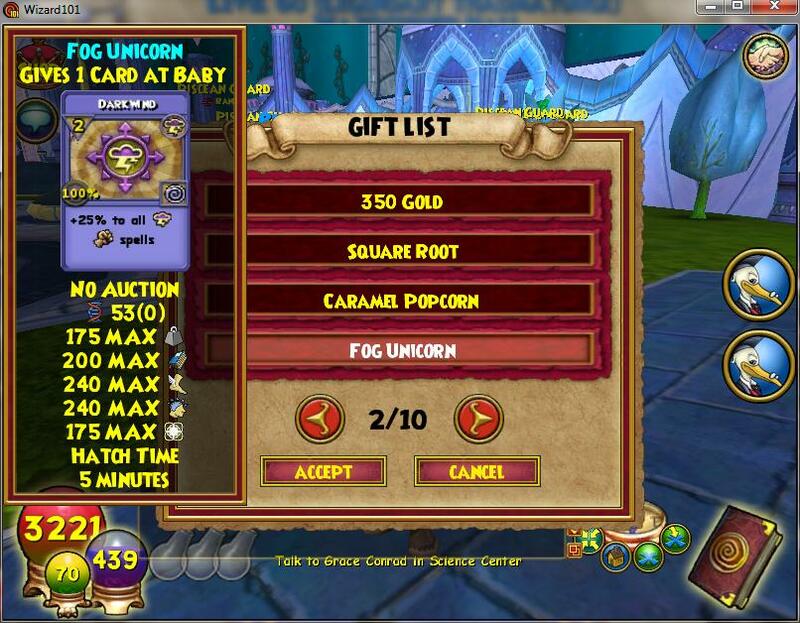 Their are many new things you can do in the Test Realm. 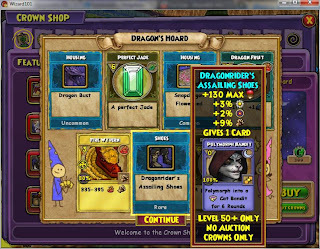 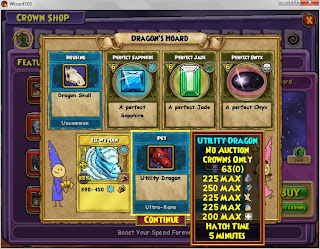 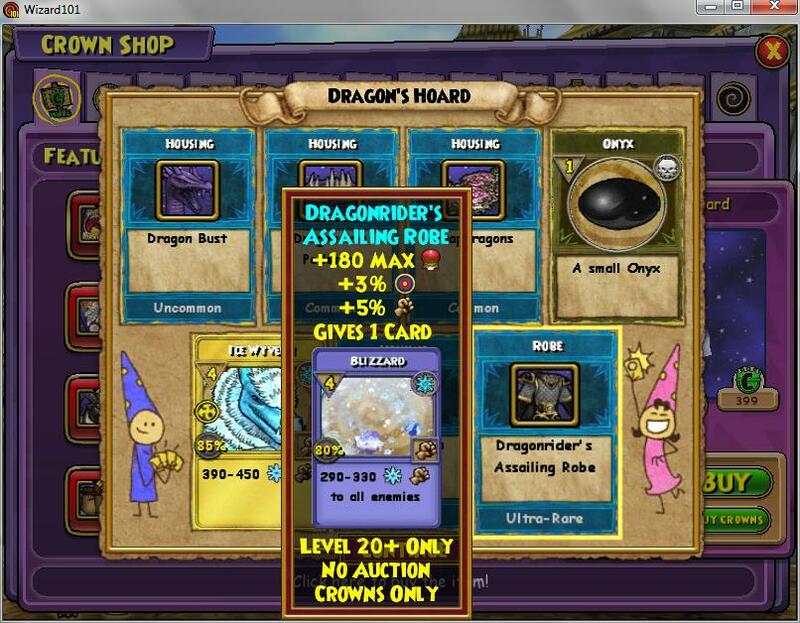 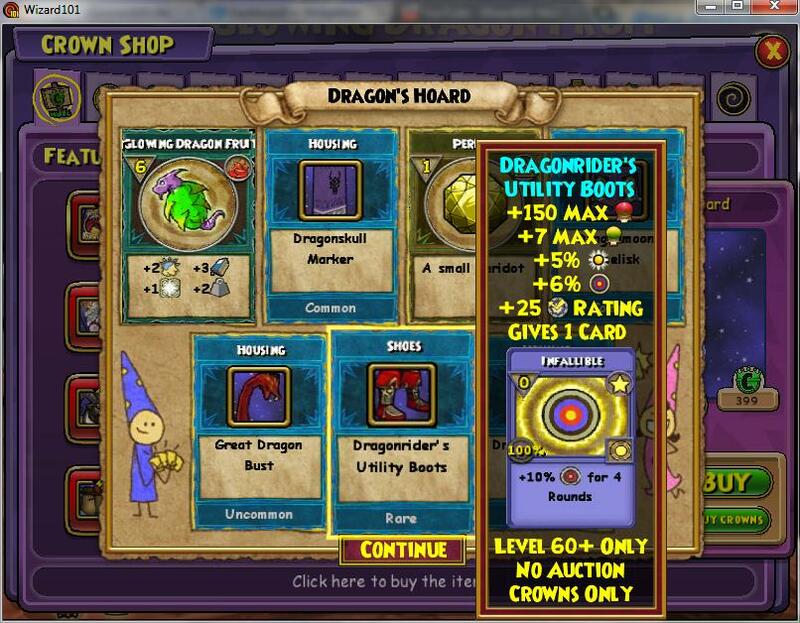 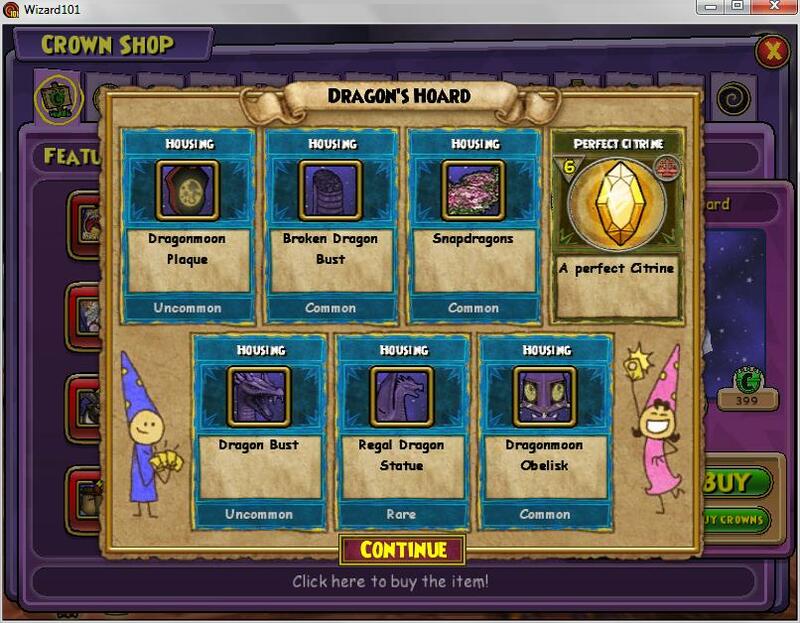 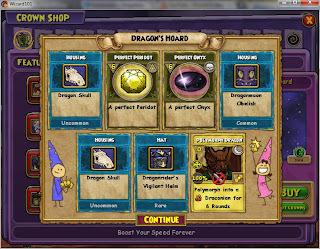 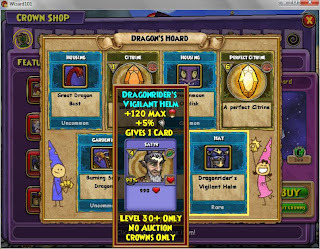 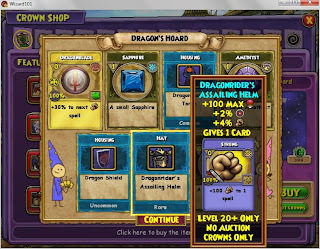 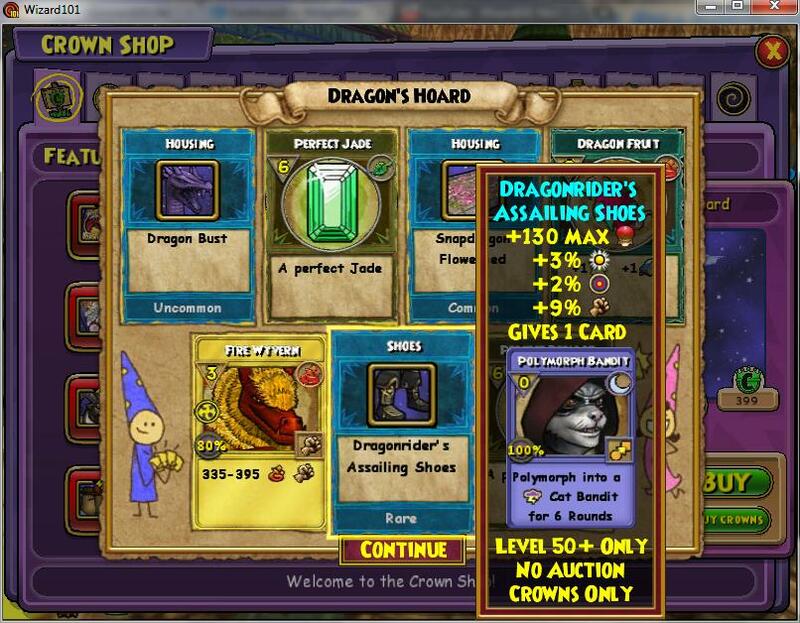 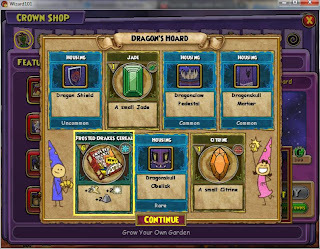 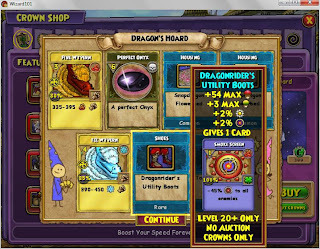 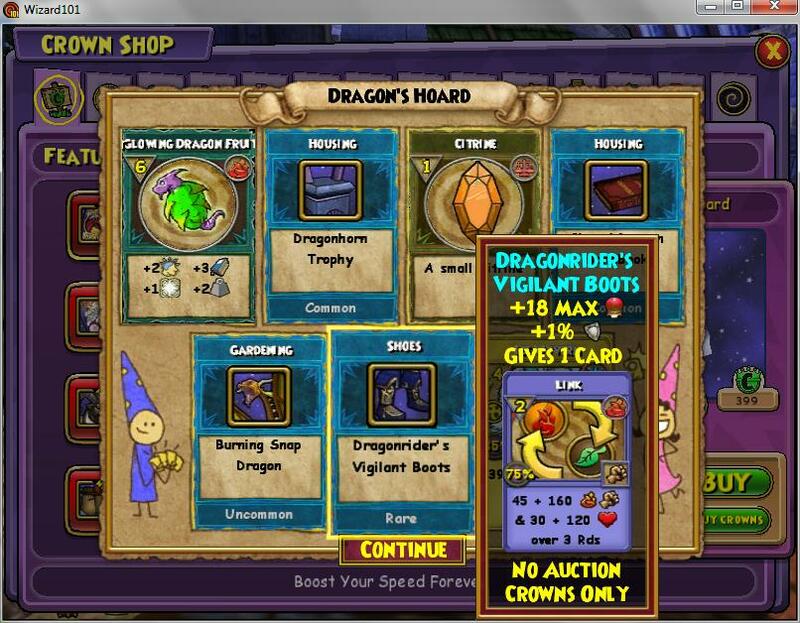 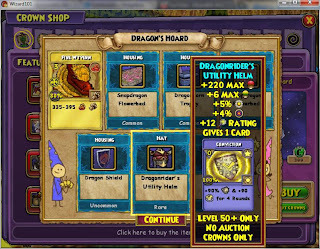 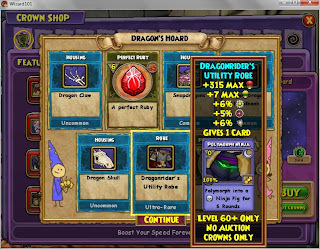 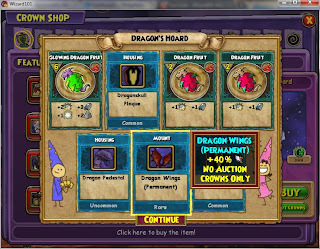 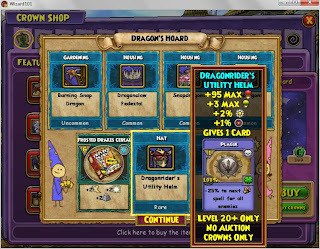 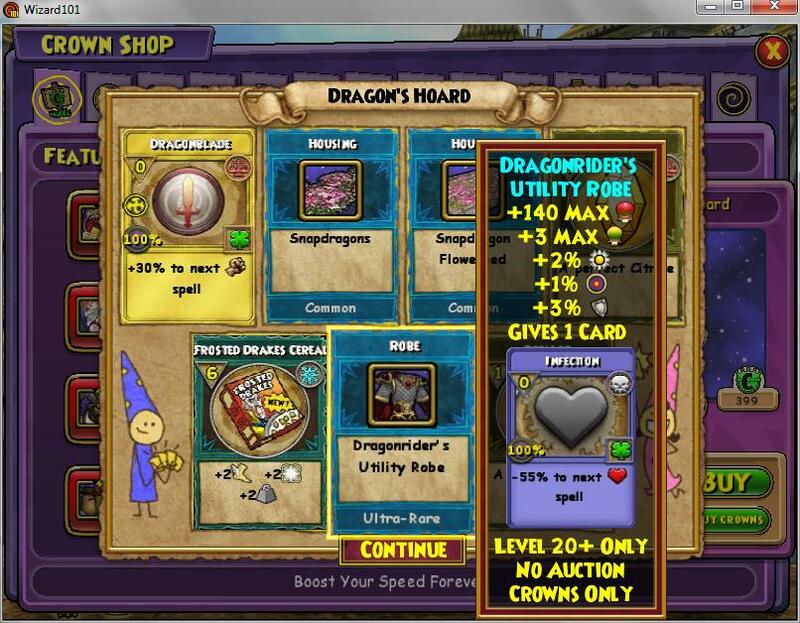 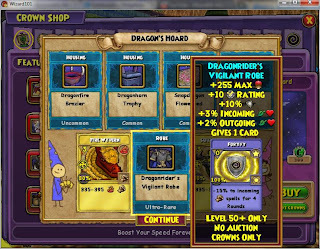 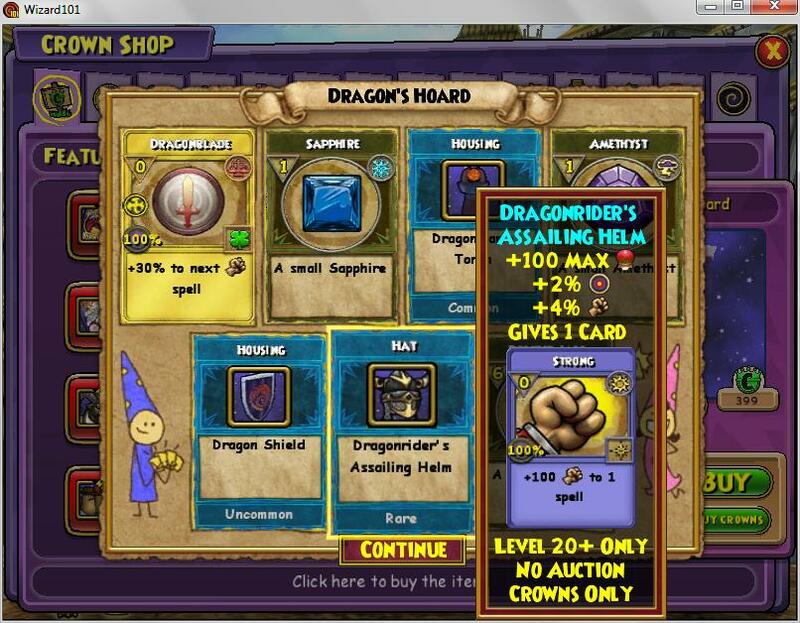 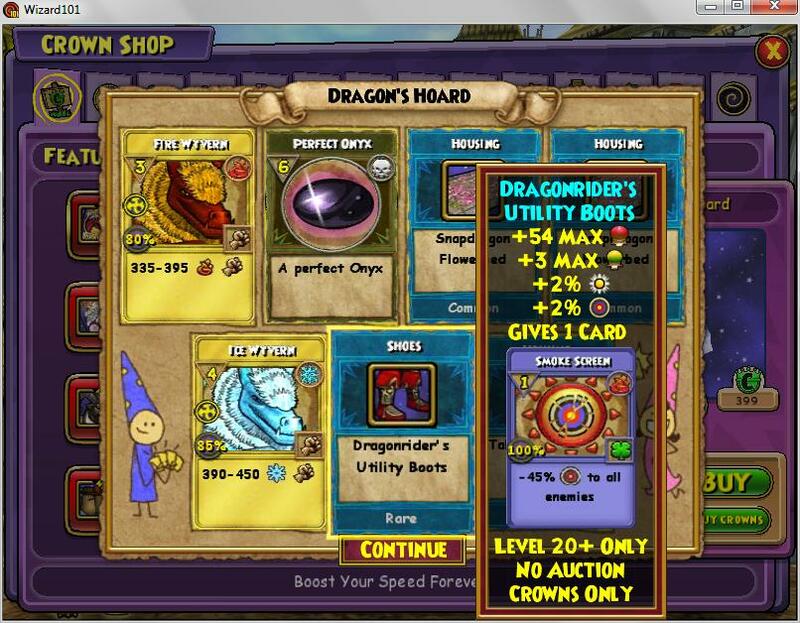 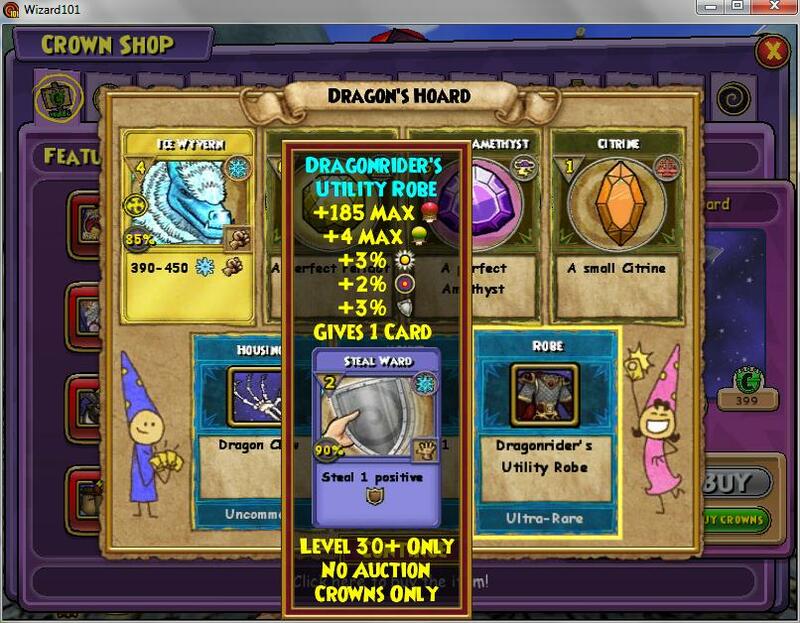 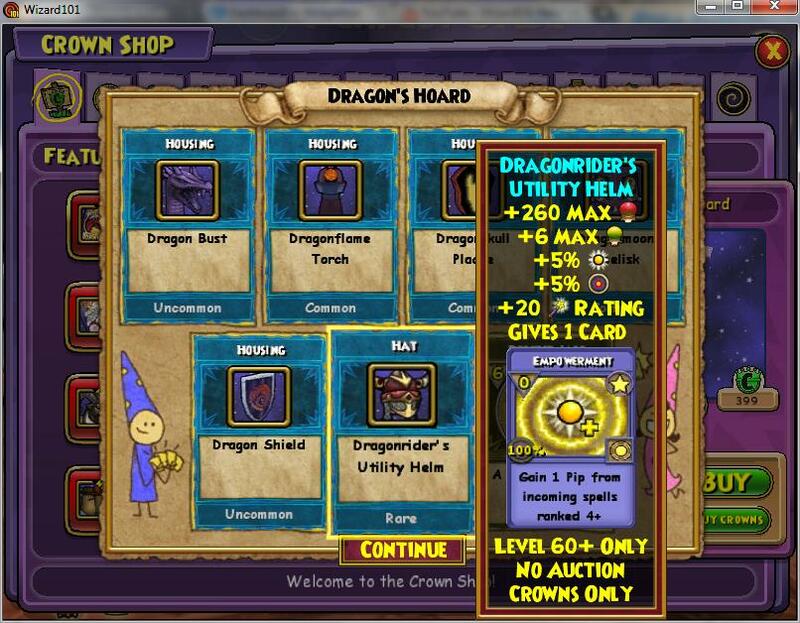 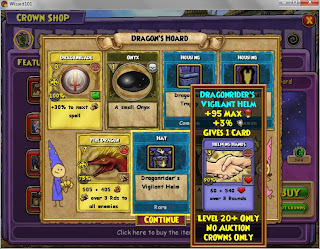 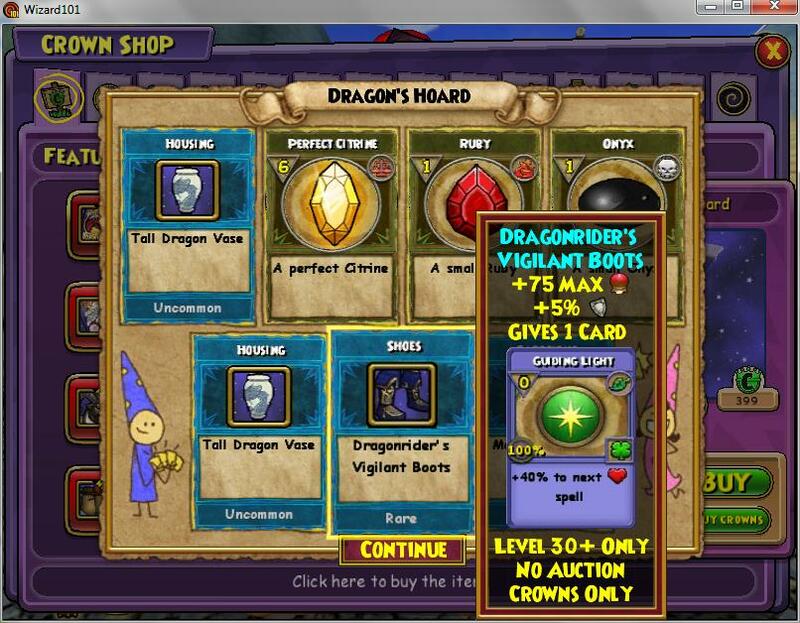 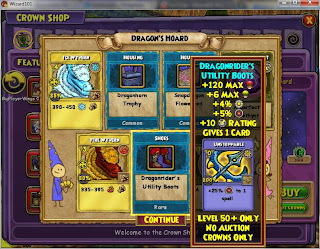 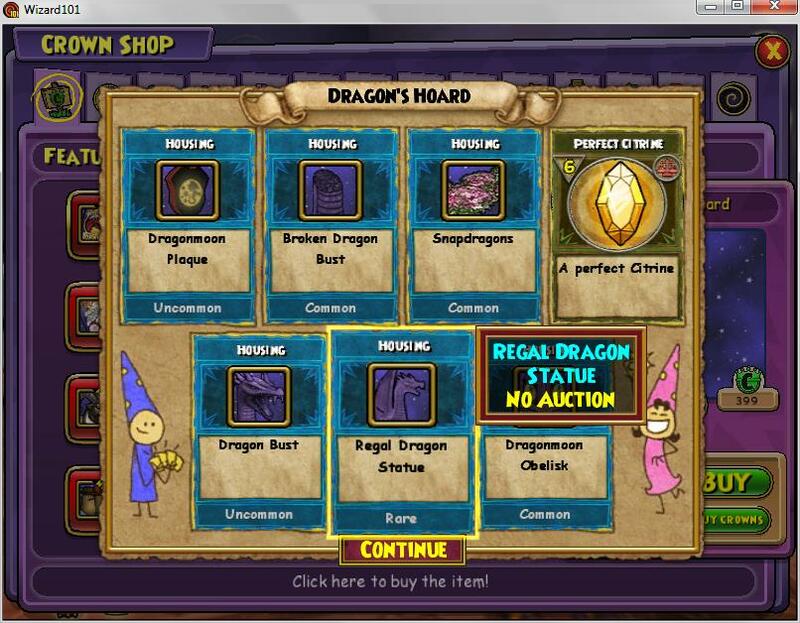 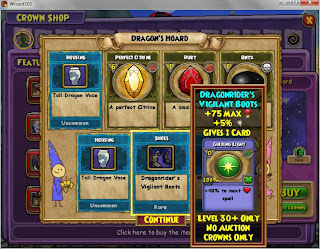 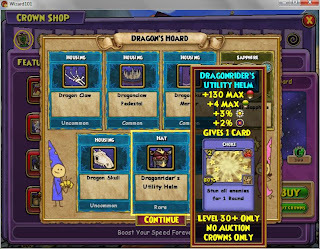 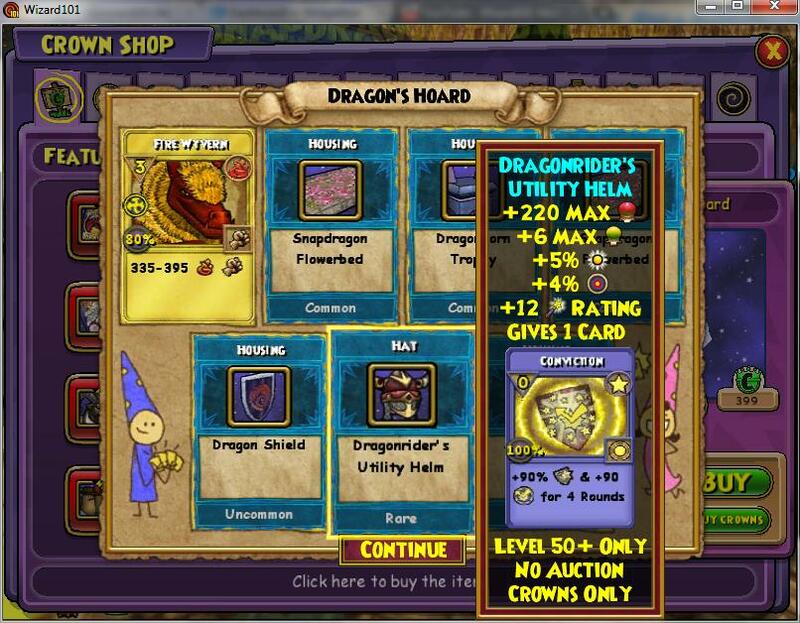 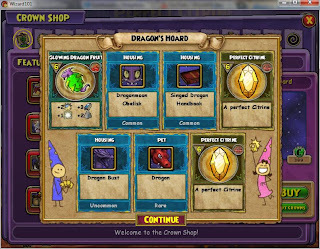 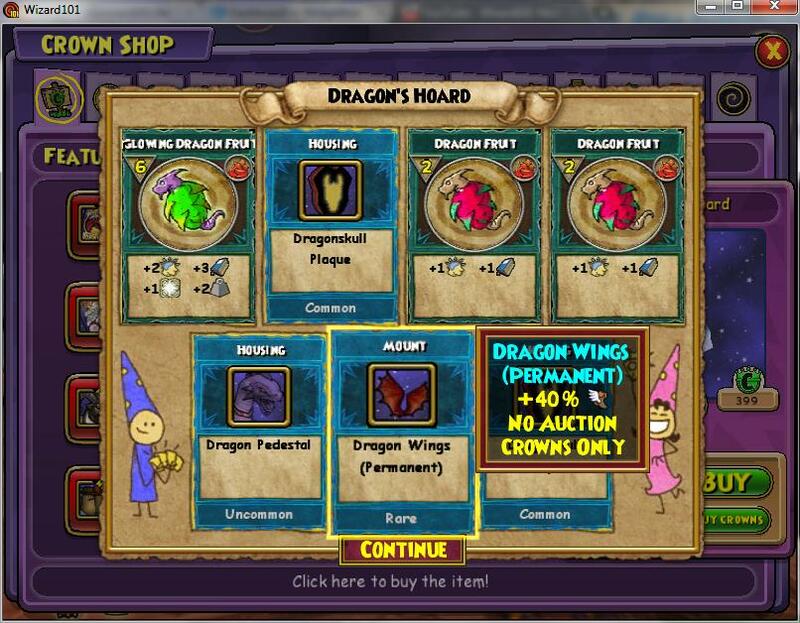 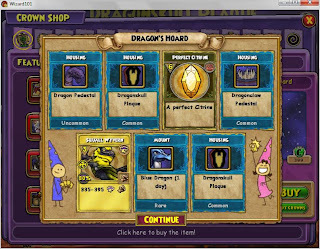 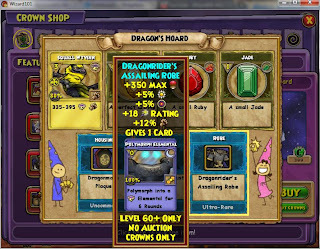 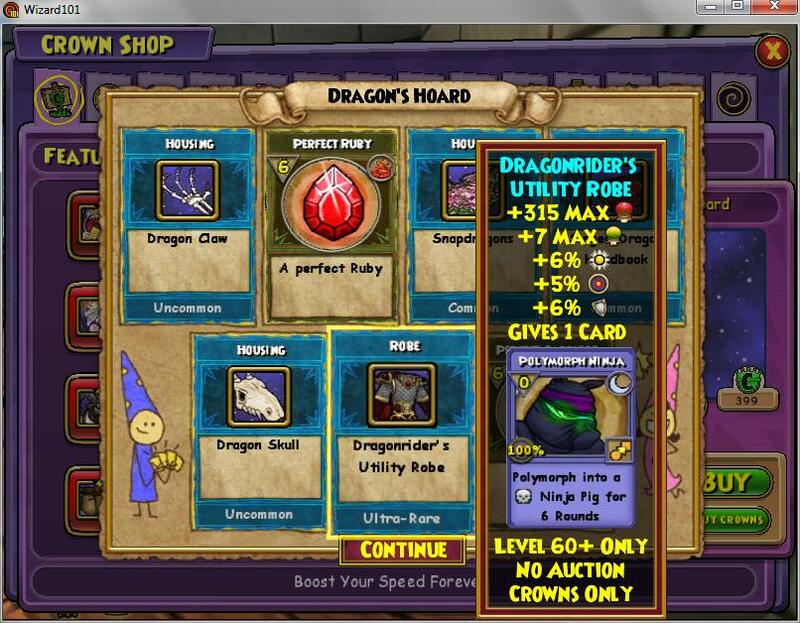 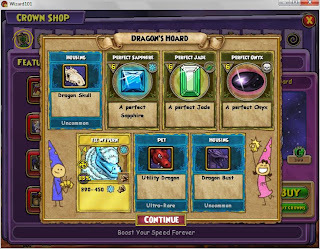 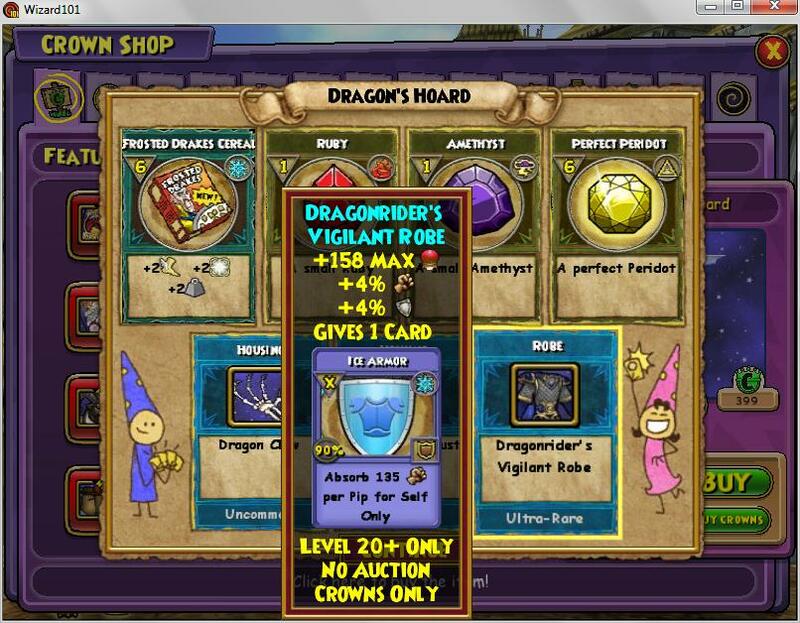 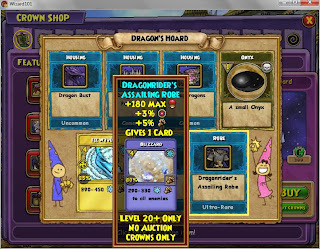 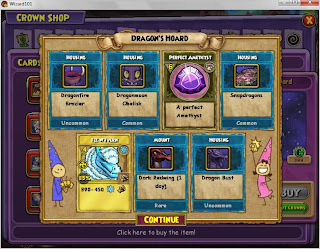 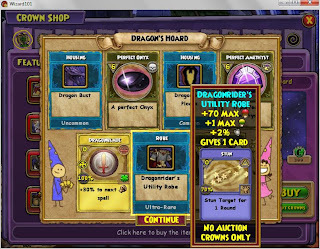 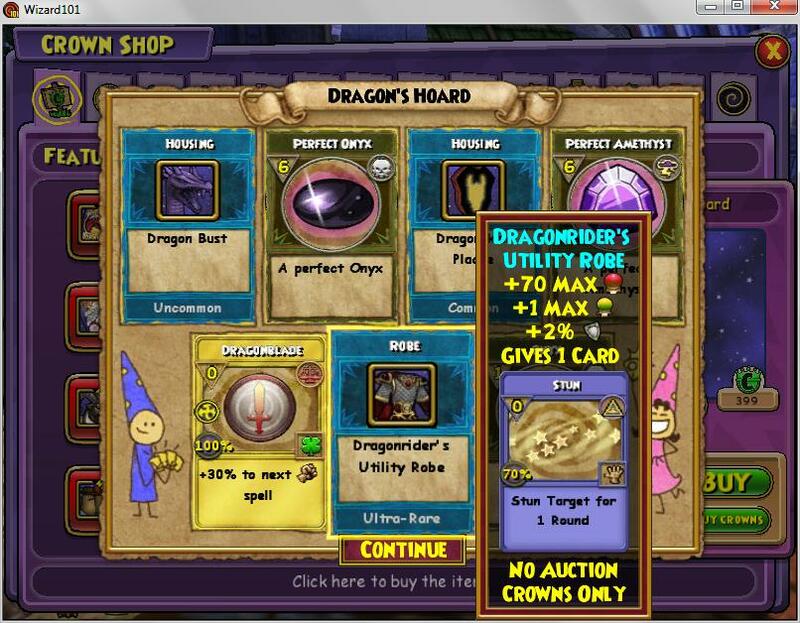 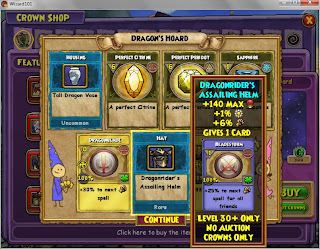 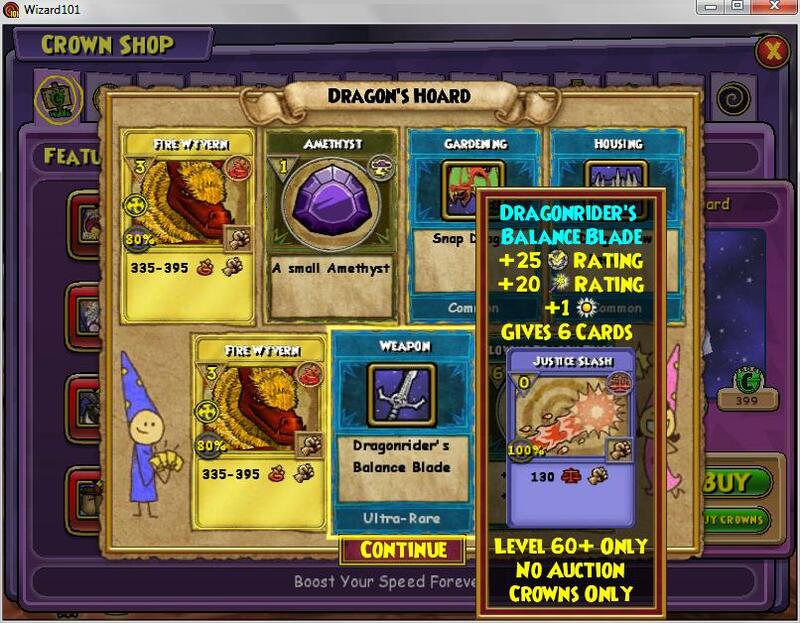 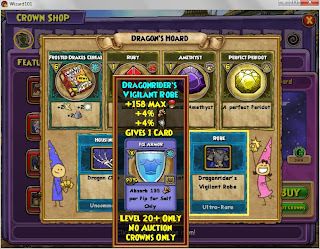 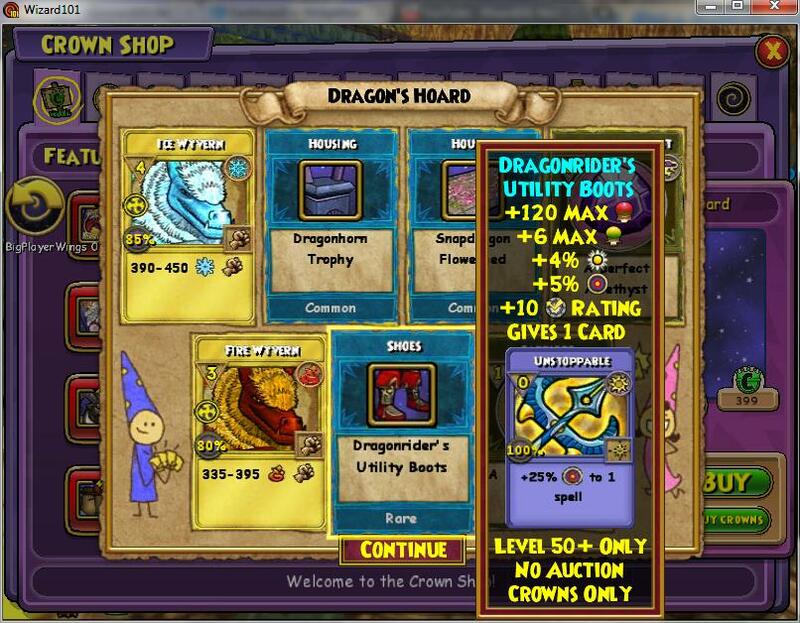 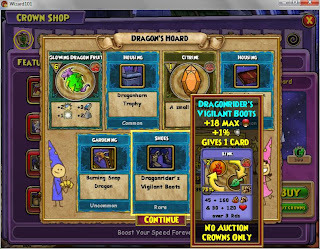 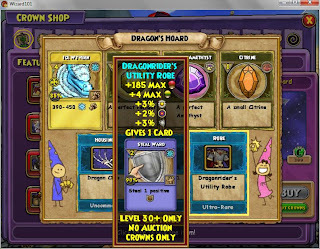 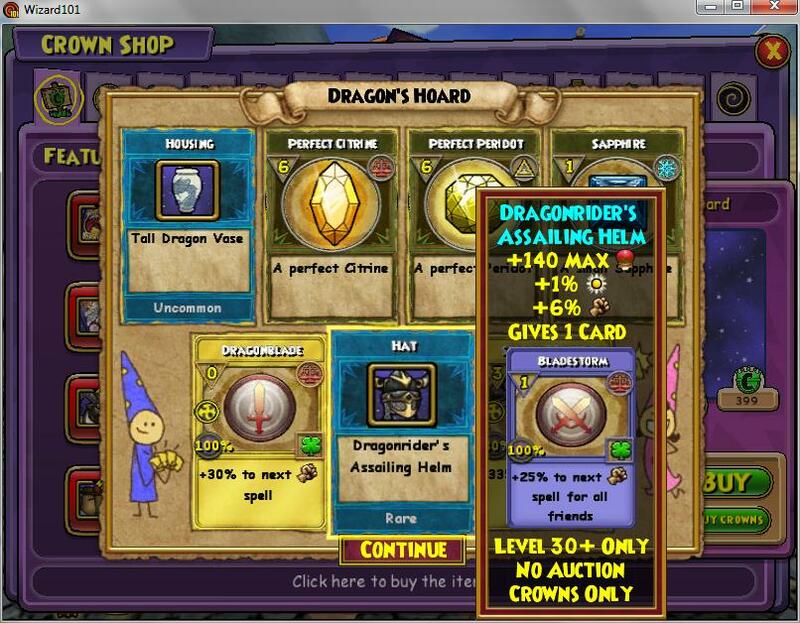 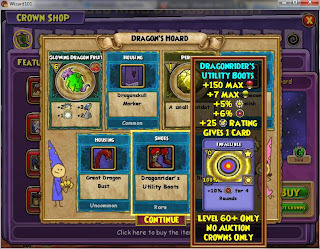 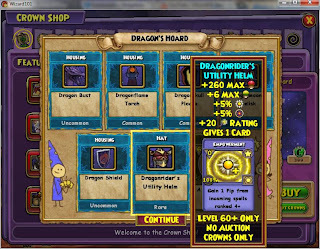 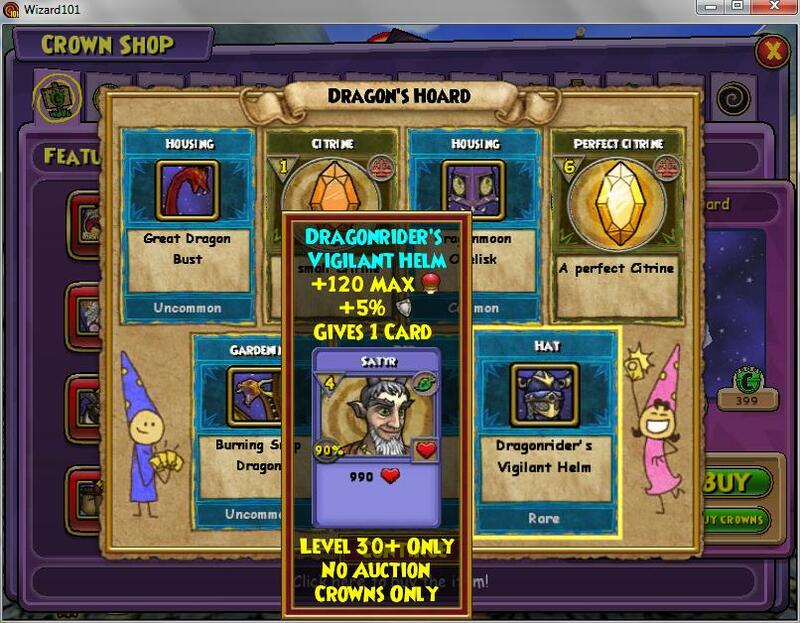 If your like me and you don't have the crowns in-game to get the Mastery Amulets, buy pets and houses, mega-snack packs, and Dragon's Hoard packs, you can use the 50,000 crowns you are given to do that! 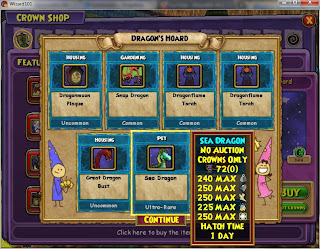 Alex Brahm and I put our 50,000 crowns together and got 150,000 crowns. 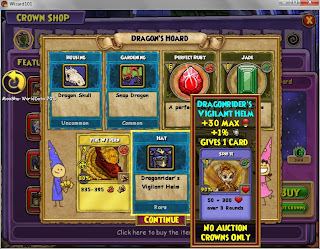 We then spent that large amount of 150,000 crowns on Dragon's Hoard card packs. 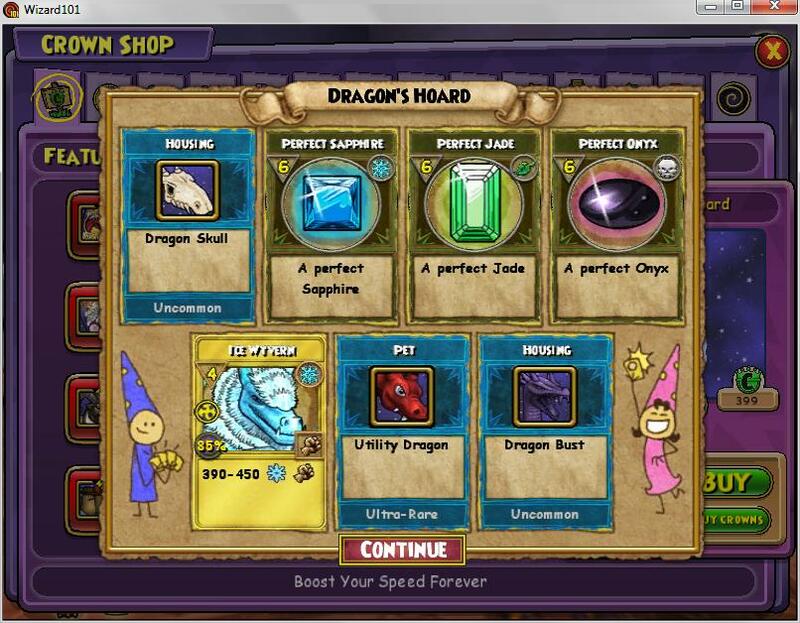 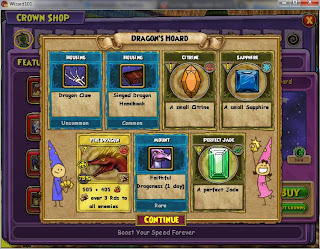 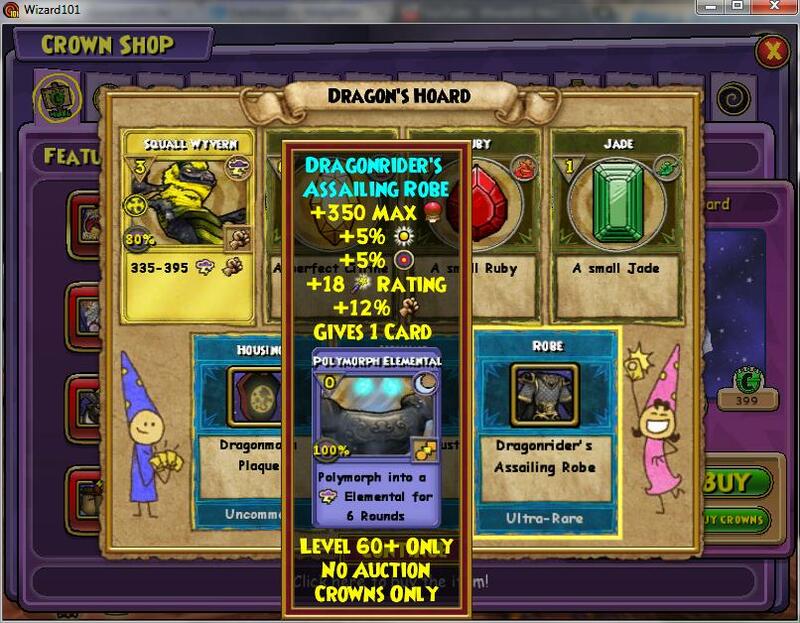 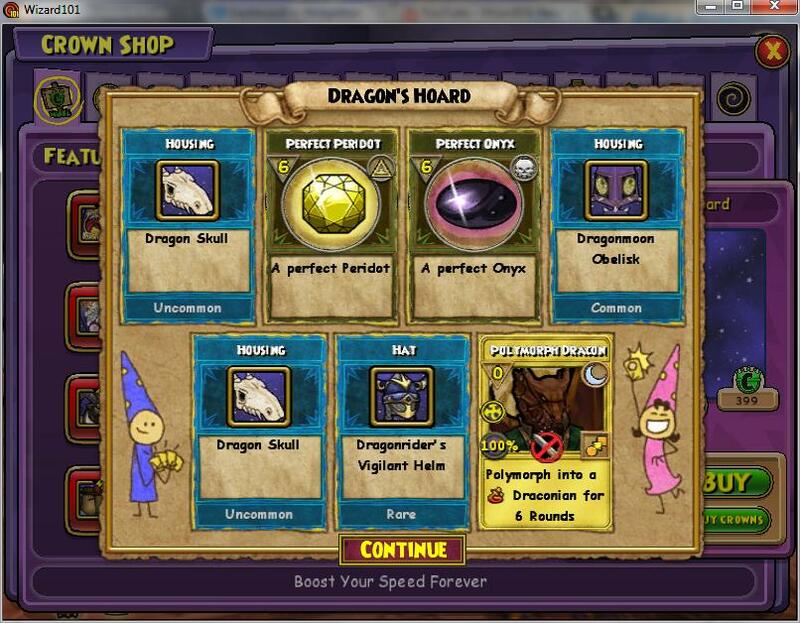 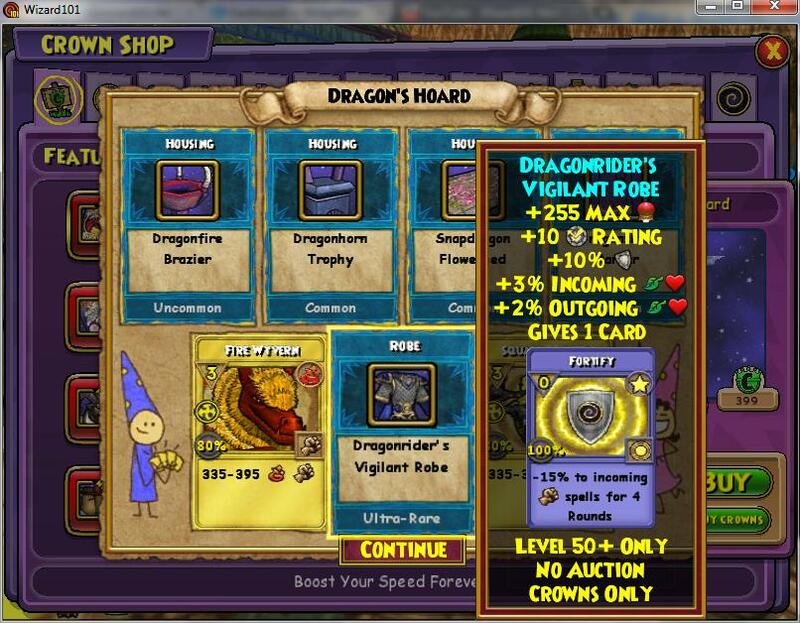 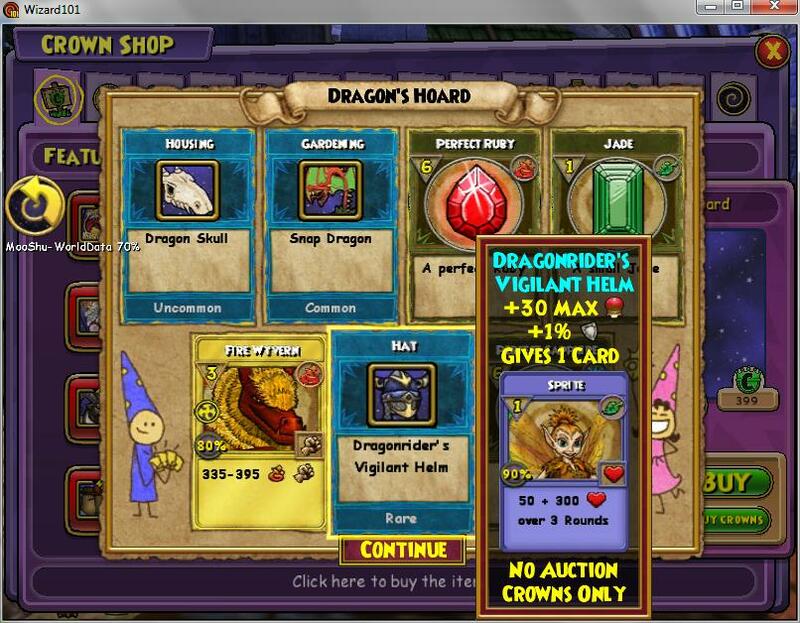 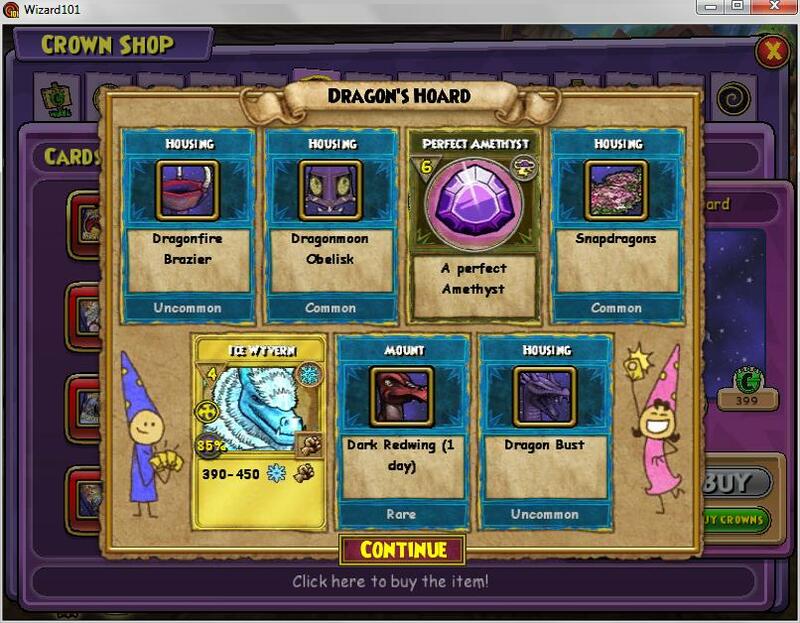 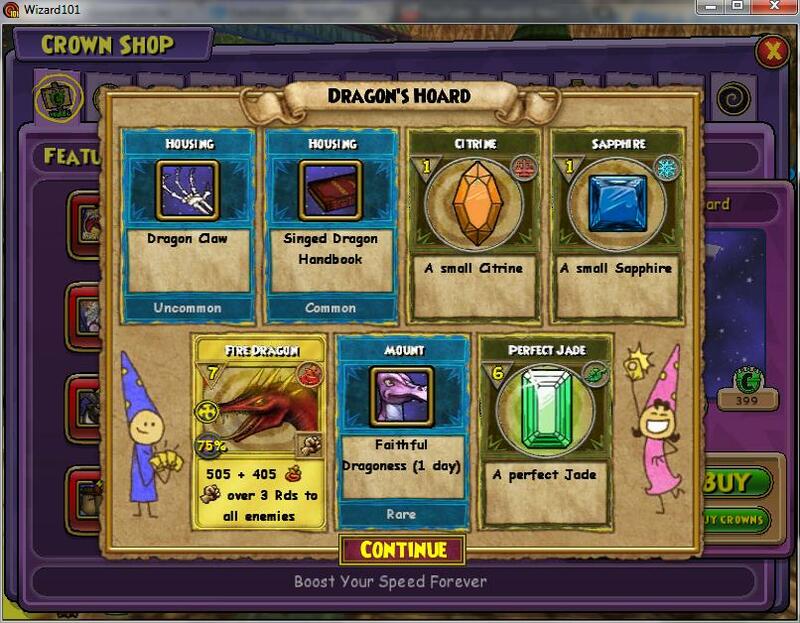 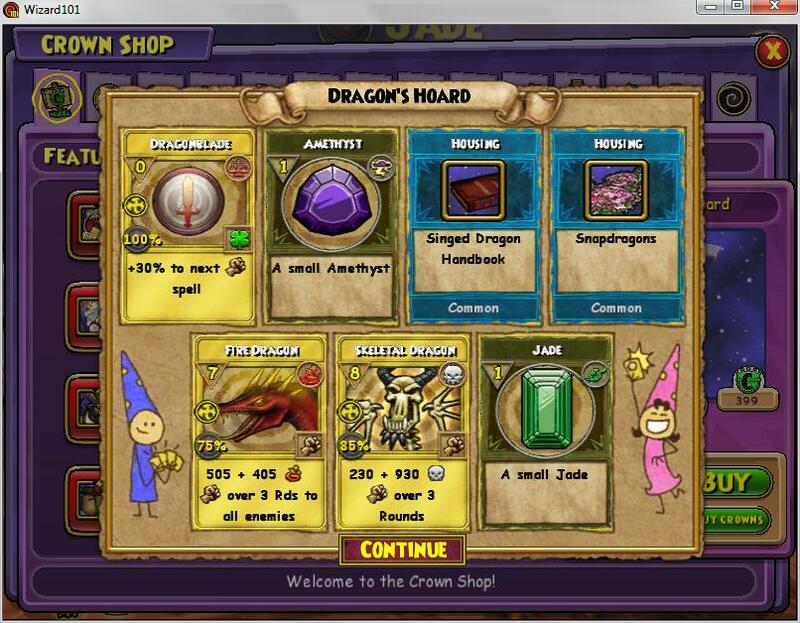 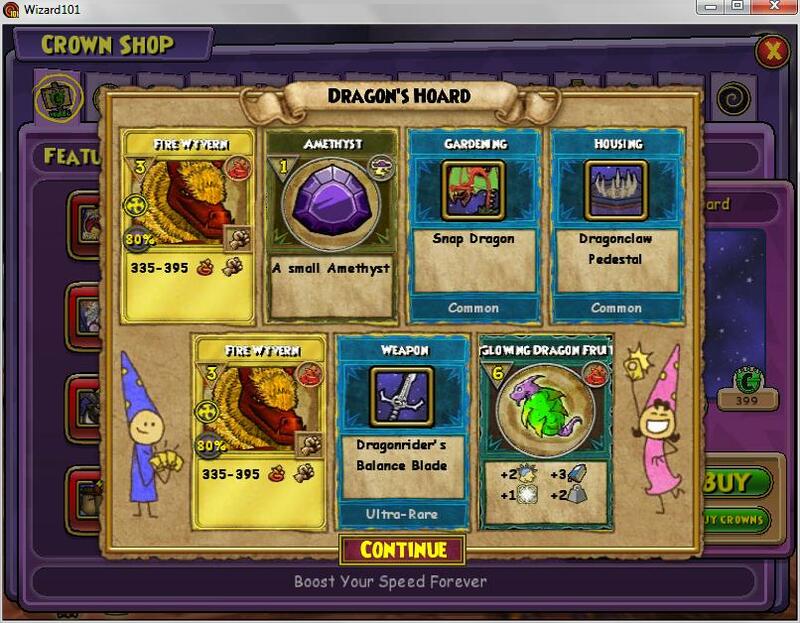 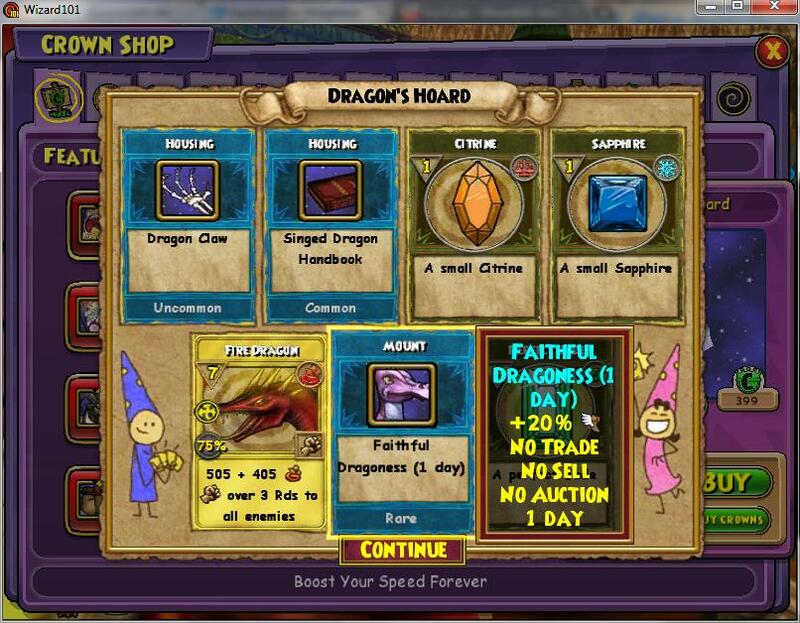 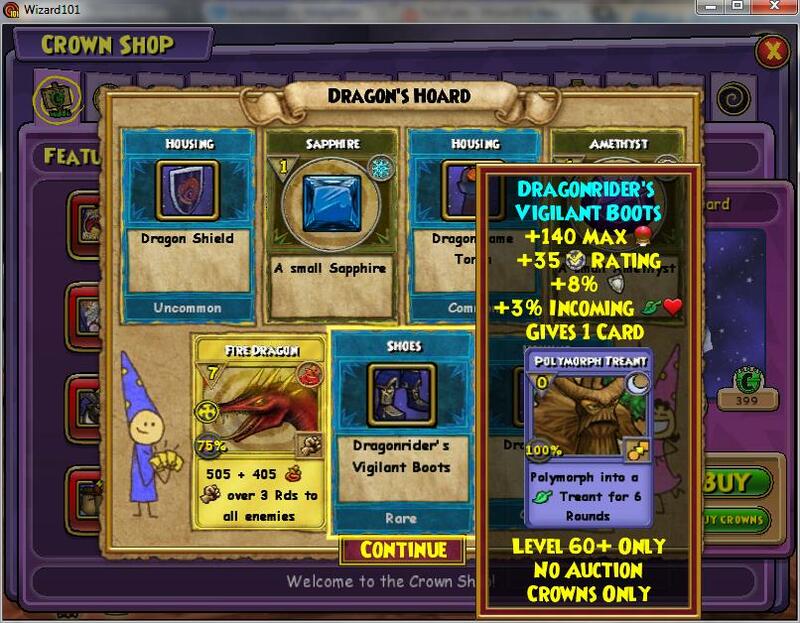 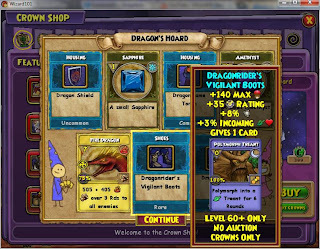 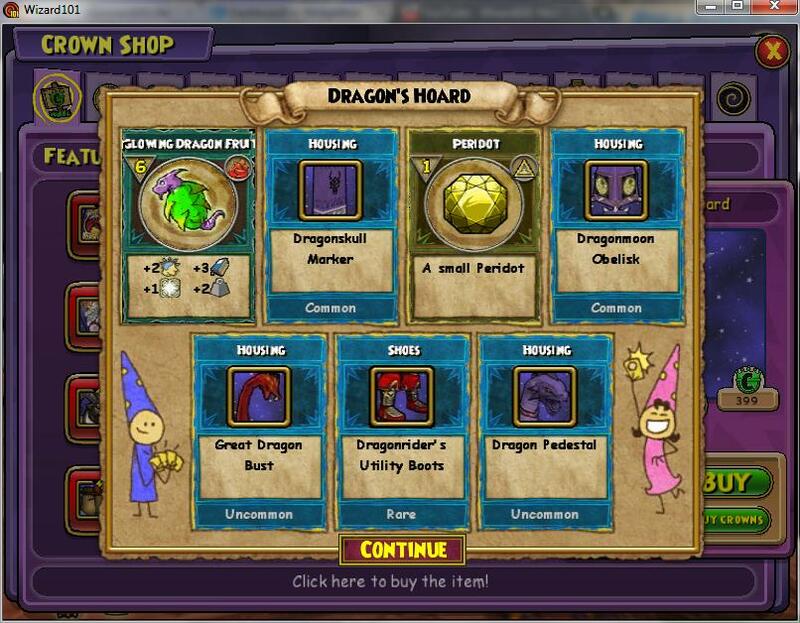 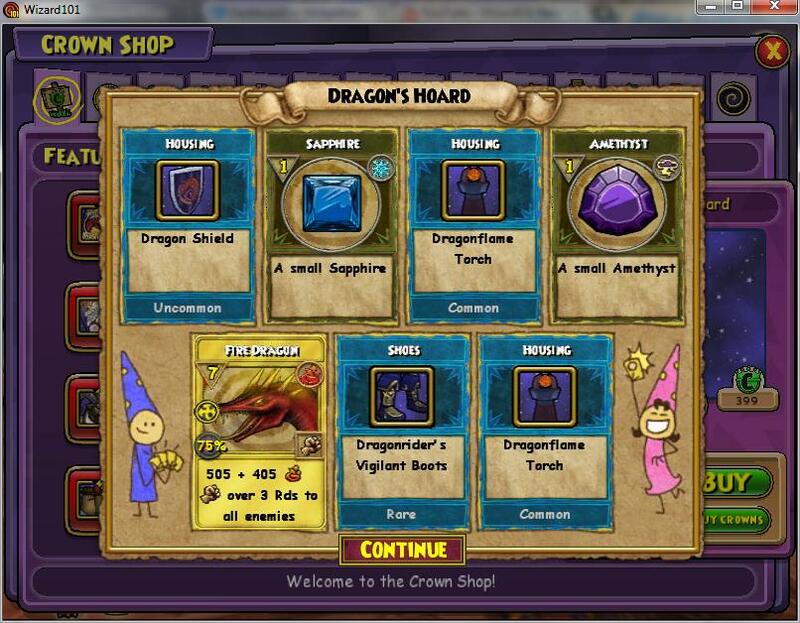 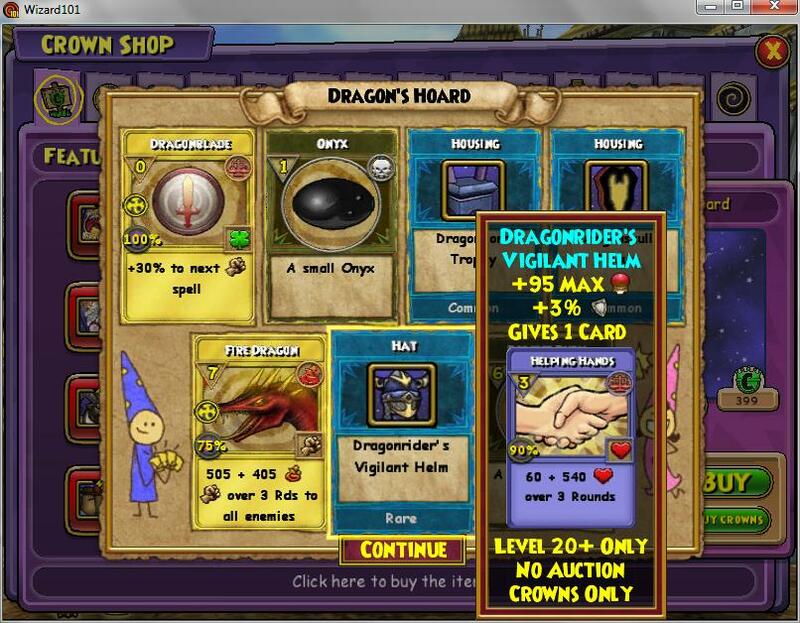 Well technically I spent a few crowns to get the new Sandman pet and a few mega-snack packs. 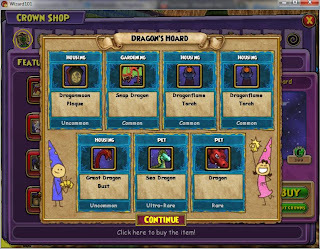 Anyways combined we got 375 Dragons Hoard card packs!!! 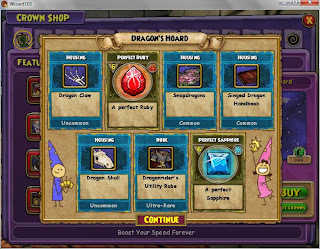 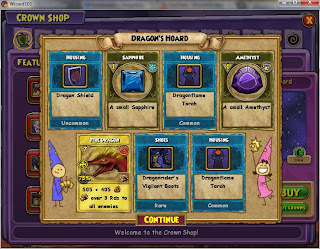 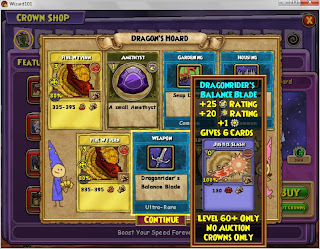 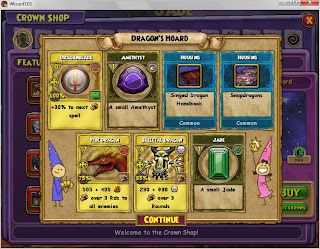 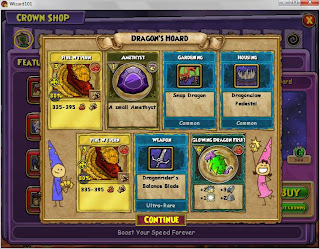 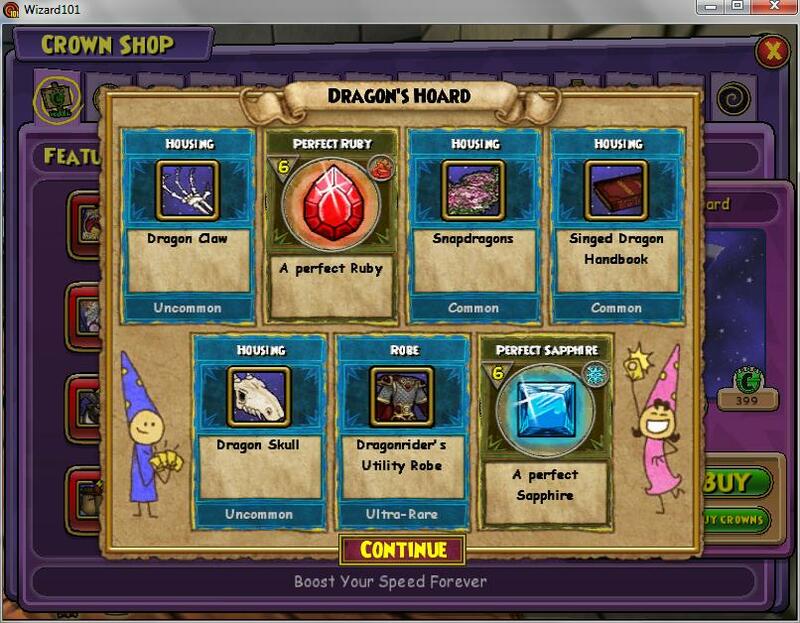 Now as Stephen Spiritcaller stated on Episode 43 of Ravenwood Radio, quote "I could open up a Dragon House item utility store and never run out of inventory!!!" 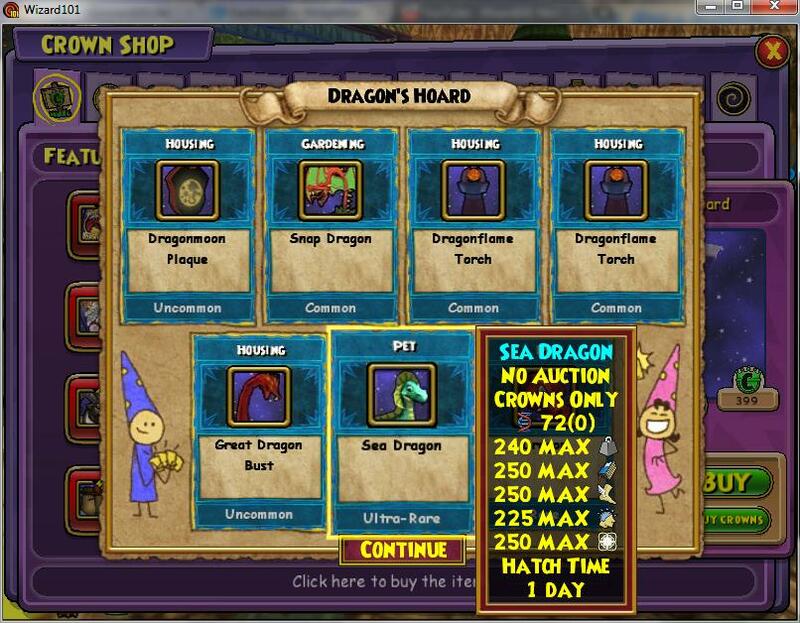 Now thats how we are but 3x more! 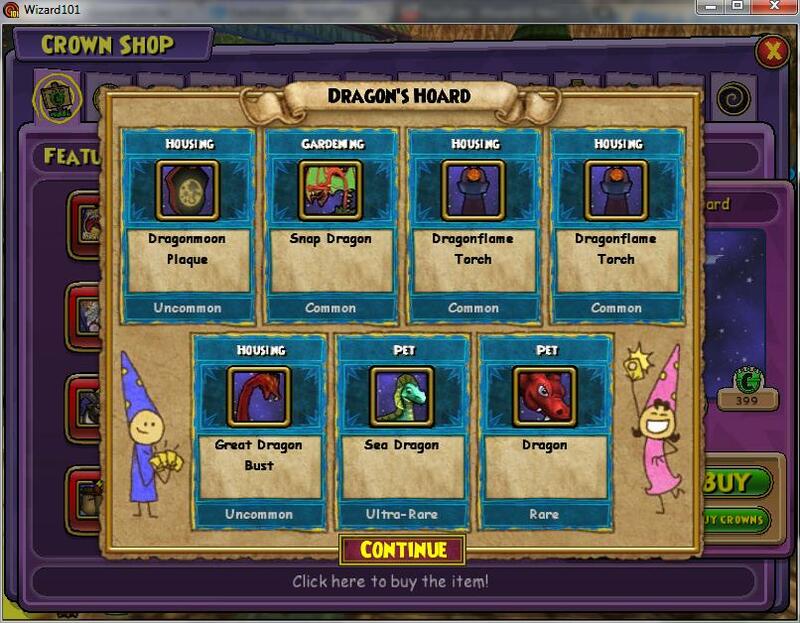 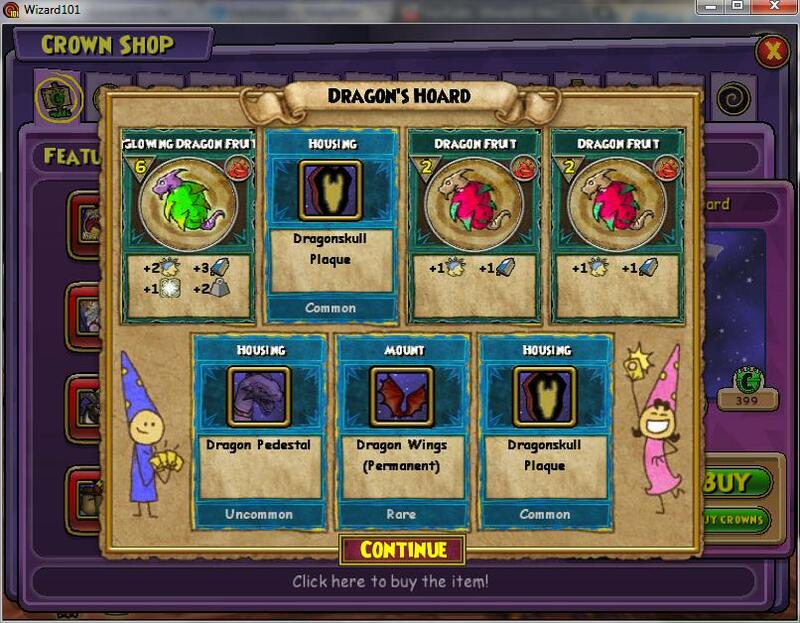 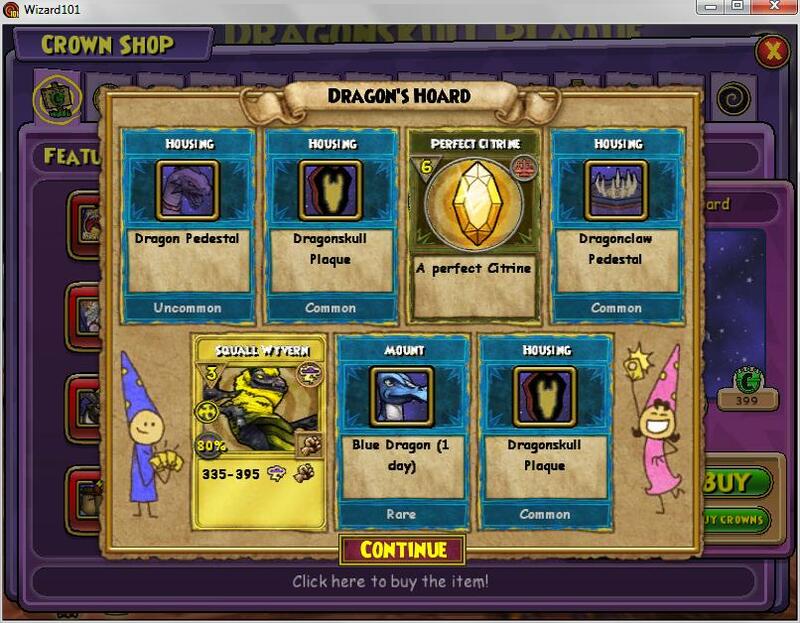 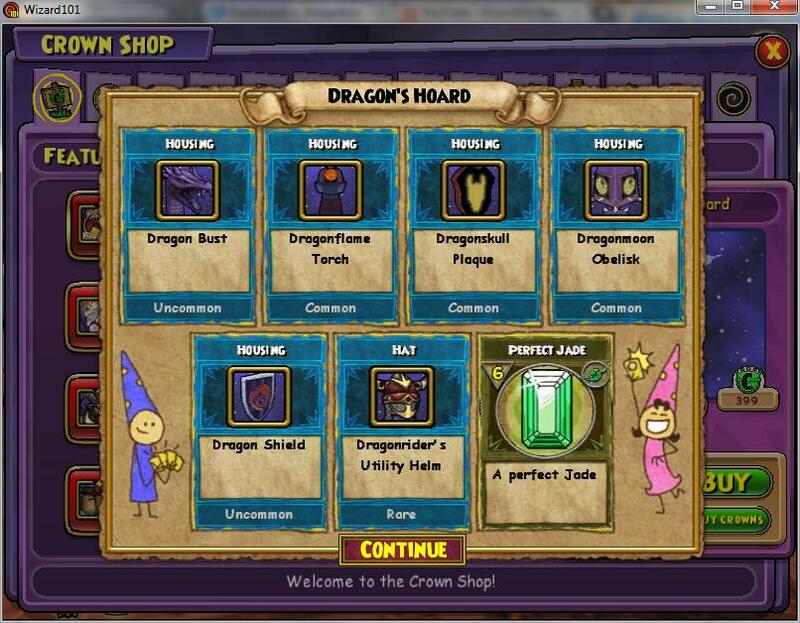 I had to use 4 different Wizards for it just on my account because I filled up the Backpack, Bank, and Shared Bank. 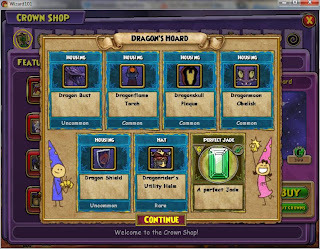 In other news, a new cutscene has been added to the Spiral! First it was Grandmother Raven's cutscene but now *drum roll starts* introducing the new Malistaire Cutscene!!! 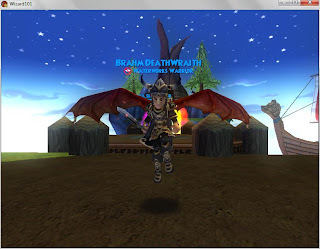 Now when you reach the final battle in Dragonspyre and you find Malistaire, a cutscene starts. 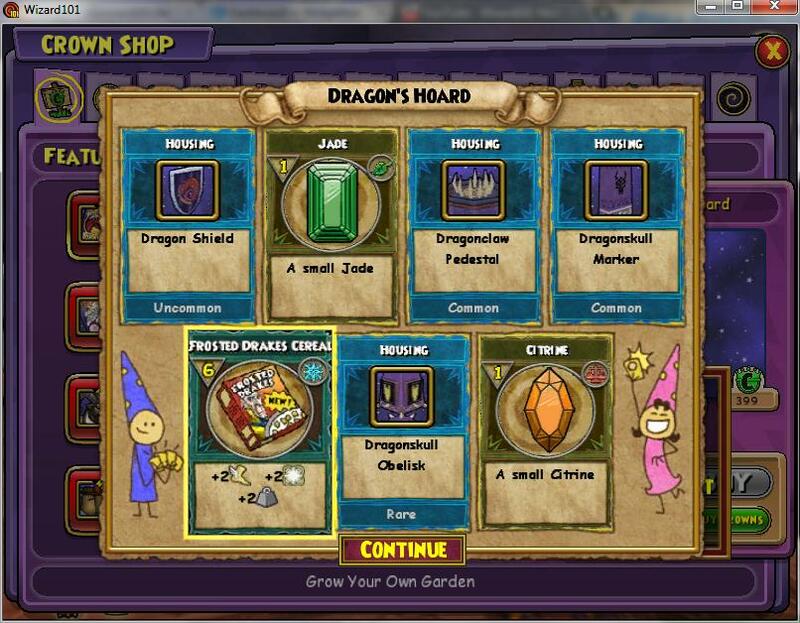 It fades in on Cyrus Drake appearing and talking to Malistaire. 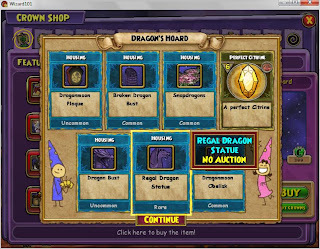 After that happens, Cyrus makes Sylvia (Malistaires dead wife) appear. 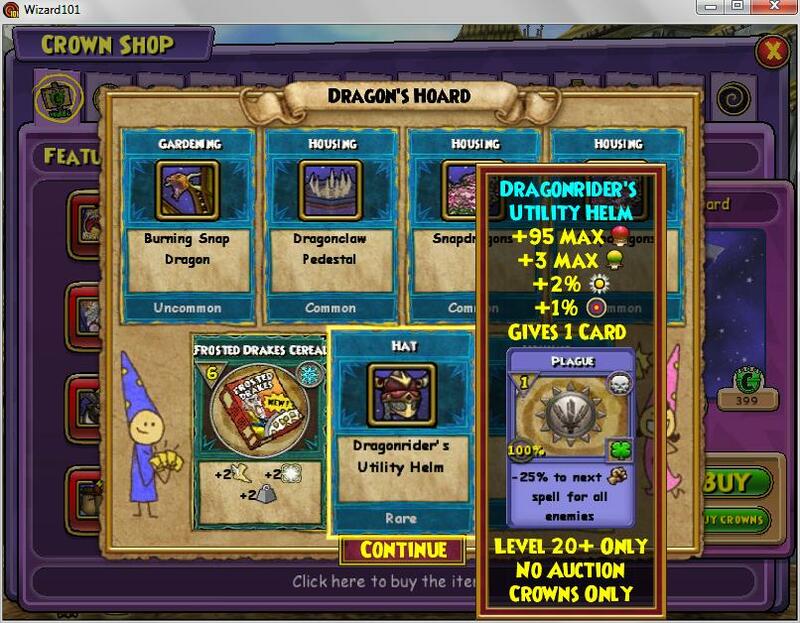 Malistaire is like "how dare you evoke my beloved Sylvia." 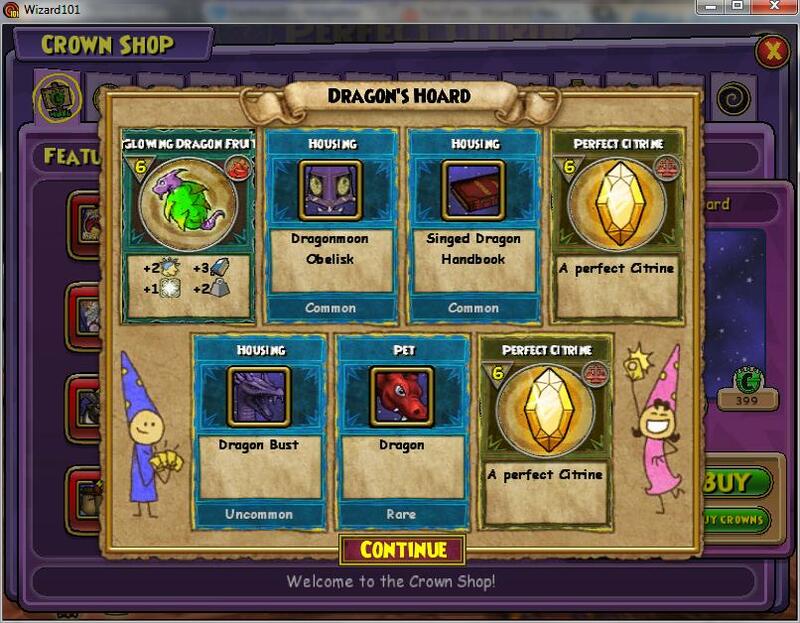 and then Sylvia and Cyrus disappear. 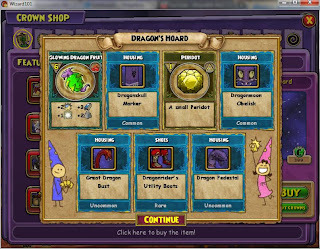 Finally the cutscene goes back to Malistaire's face and then you can start your battle.